CHA Winter 2012, Sneak Peeks Part 5: Heidi Swapp and LOTS going on at JBS! Here's my last round of sneak peeks. I loved working with Heidi Swapp's new Sugar Chic Collection, one of several new products she is releasing at CHA. Sugar Chic, which is typically Heidi, is full of all the things you've come to love and expect from the Heidi Swapp name - fun, modern, colorful, plenty of her signature pink and black, girlish and "fabulous" sums it up!. I've been a longtime fan of Heidi's - she's a brilliant artist and designer, so I was honored to be one of the first to get my hands on Sugar Chic! Here are the projects I created for the CHA Winter Show in Anaheim, wish I could be there to see it in the booth and snap some photos! Heidi has posted a few pictures on her facebook page, I'm hoping to see more of her booth soon from CHA-goers. The papers in this layout are from the Sugar Chic Collection, but I've mixed in elements from other new products from her new offerings as well. I'm gaga over that sheer striped yellow tape!! I've been wanting to share the new releases from Jenni Bowlin as well. Jenni is releasing Magpie, a soft and beautiful collection of soft, muted papers, I can't wait to get my hands on this loveliness! And check out the amazing accompanying embellishments - quilted stickers, flash card stickers, new hodge podge stickers - loving it all!! I don't know how she does it, but Jenni outdoes herself with each new release! and as if that wasn't excitement enough, Jenni is now partnering with Jessica Sprague to release digital product - read all about it here! We're having a chat night on reveal night! Tuesday, 1/31, at 8pm CST we'll be hanging out in the chatroom talking about our new mini-album kit club, the latest JBS release, product we'd like to see in upcoming kits, and who knows what all else. Plus there's a door prize! We'll be randomly choosing a winner towards the end of the hour who will receive the February Mini-Album Kit. See you Tuesday! Finally, I'll leave you with a link to Shimelle's blog - she's got great pictures of the JBS booth at the show. Still more peeks for you, and lots more to come! 7 Gypsies has always held such a special place in my heart with its products that have the appeal of old world tempered with a modern aesthetic. Sande Krieger, who has designed many of their products, has designed an essential, "can't live without it" collection for 7 Gypsies which will be released at CHA. It will make you want to pack your bags and head abroad for a travel adventure, just so you can document it with these papers! This is quintessential 7 Gypsies, folks. Those of you who are diehard 7 Gypsies fans will rejoice. I was floored when I received this collection - it is SO hoardable, and I admit I had a hard time cutting into it - I wanted to just keep it all and stare at it, lol! 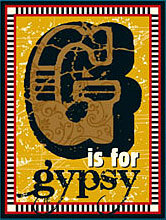 I'm delighted to share with you Seven Gypsies' new Postale collection. These little mini postal envelopes were a delightful find at Zulio, they have lots of other wonderful stationery sets but this set went perfectly with the collection. Here are the product photos - if you're going to CHA - make sure you stop by the Gypsy Camp and check out all these lovely new goodies! 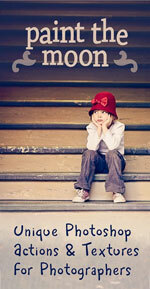 Pink Paislee is on its fourth day of sneak peeks - and they have a sweet and lovely collection in Indigo Bleu. I wasn't assigned to work with this line, but I do love it as well! It has a casual, laid back, easy feeling - reminds me of vintage pickups, cowboy boots, denim and bouquets of daisies with a stunning field of goldenrod in the background. And even though it's casual - it has an air of elegance - the grey and yellow together are stunning with the blues! Remember to stop by the Pink Paislee blog and leave a comment there for a chance to win this entire collection! I'll be posting peeks from Jenni Bowlin and Heidi Swapp, soon! Are you ready for a post full of swoon-worthy romantic inspiration?? You're going to love this, so go grab a drink and prepare to stay awhile, so you can gawk at the lovely collections coming up from Pink Paislee and Seven Gypsies! From Pink Paislee comes the stunning London Market collection. I was totally swept off my feet when I spied this collection, and if you are a lover of vintage and romance, I guarantee you will be too! 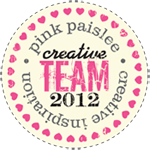 Don't forget to visit the Pink Paislee Blog for a chance to win the entire collection! It's drop dead gorgeous! Jumbo Numbers Spool Buttons - swoon!! And now I have to share an equally gorgeous new collection from 7 Gypsies designed by my talented friend Kerry Lynn Yeary - the stunning Trousseau collection! These photos do not do justice to these gorgeous products, they're absolutely breathtaking! Here are my projects with Trousseau, and just take a look at all of the goodness coming your way from 7Gypsies!! Oh, and please don't forget to stop by Kerry Lynn's blog and let her know how much you love this collection! Here's more loveliness from Pink Paislee - isn't this line just gorgeous? I love everything that Pink Paislee is releasing, but this one is one of my faves! Be sure to hop on over to the Pink Paislee blog and leave a comment for a chance to win the entire collection! In fact, there will be giveaways all week - so you'll definitely want to go leave a comment each day! shipping tags - how great would these be to pretty up a package? CHA Winter 2012 Sneak Peeks! A lot of my favorite manufacturers are debuting sneak peeks of their new collections this week. Over this past month I've finished creating and shipping off projects for the CHA Tradeshow, and I'll be sharing them in just a few days. In the meantime, here is a look at some of the new releases from industry manufacturers that will be debuting at CHA 2012 in Anaheim! I'm super excited about this collaboration between Pink Paislee and artist Christy Tomlinson - just take a look at this loveliness! This collection is called She Art, and I love its bright, bold and happy colors! How cute are these rub-ons! How about this amazing chalkboard easel? And I love the smaller sized cigar boxes! Or this hotel key holder? Only Jenni could come up with these beautiful vintage reproductions! And new punches from JBS and Fiskars! These are already available at Joann's and of course at JBS Mercantile and word has it that they are limited edition, so get yourself to a J's quick and snag some! That's all for now, but lots more coming this week and next ... I can hardly wait to show you what 7 Gypsies has under wraps -- eeek! stay tuned!